What happens if you listen …..to the voice in your heart? 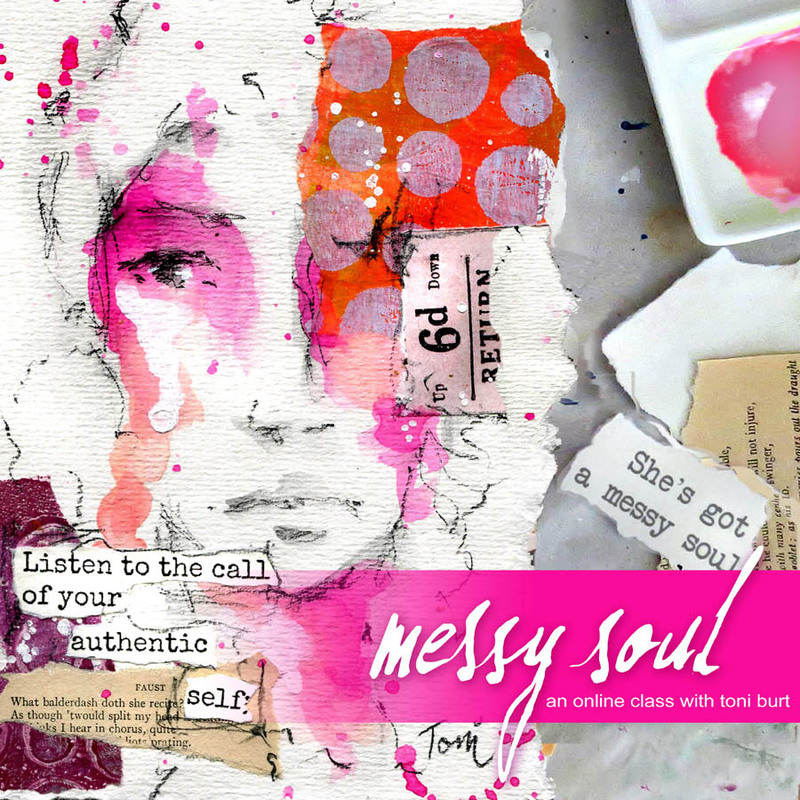 Creativity is at the heart of us, it comes from our soul….in all its messiness. Following an intuitive process…tearing, splotching, scribbling….it’s how our soul speaks to us. This class is all about being messy, following our heart and soul, and creating from that place. Neatness and control is how the mind wants us to work, our heart wants to play and express itself. If you work intuitively, put the brain to the side, make choices that way, your soul shines through. 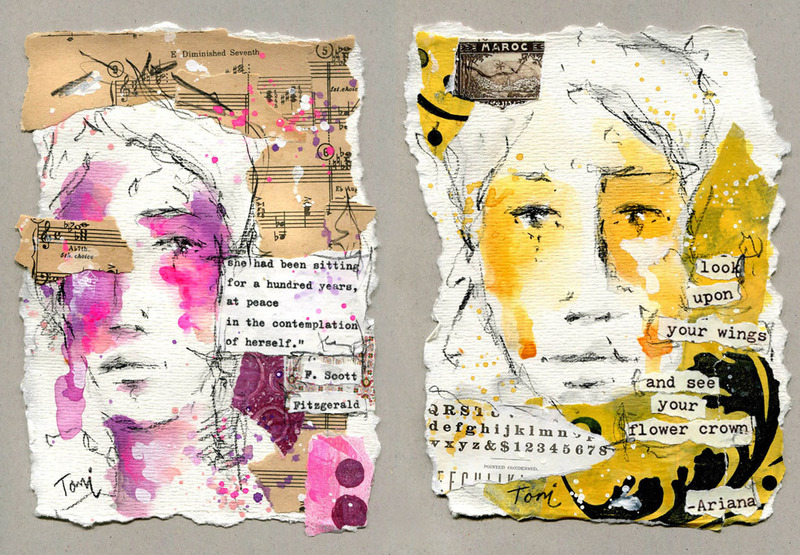 In this class we’ll work on torn paper, we’ll tear up scraps of colourful paper and ephemera, we’ll scribble and create simple faces. Faces that show expression and emotion by the mere act of the scribbling and simple lines. 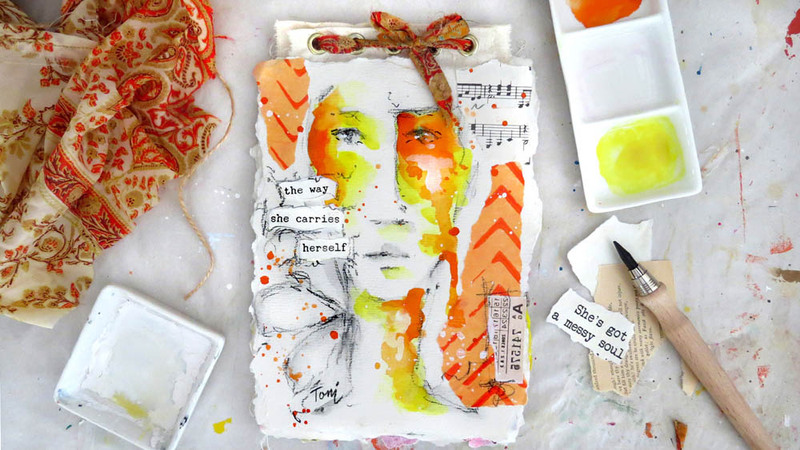 This class incorporates five loose journal pages as well as a lesson on how to construct a journal from those pages, using fabric and metal eyelets. It’s a simple yet delightful way to put your collection together. All those torn edges will make your soul smile. Come and join me, and discover the messy soul within YOU. This class is perfect for beginners and intermediate level artists. 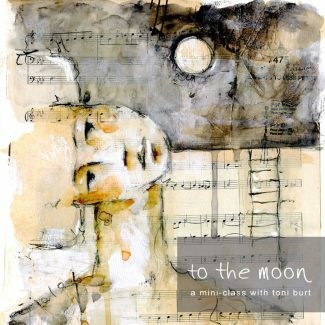 The class incorporates basic mixed media and watercolour techniques with really simple sketching. It is a work at your own pace class. You will gain access to around 3.5 hours of video in which I walk you through each step of the projects. This is an open ended workshop with no expiration date. Plus all the videos are downloadable and yours to keep! 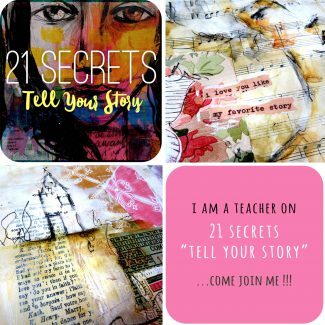 You will have access to the combined private FACEBOOK GROUP with others that are also taking my classes, to share your work and get feedback. 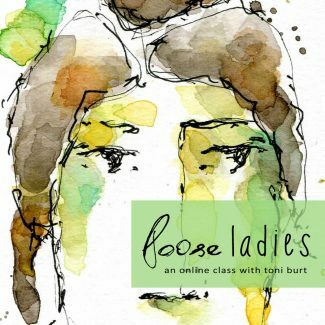 Toni’s classes are like sitting with your dearest friend. Her teaching methods are so easy to follow and a bright light goes off in your head, “Like aww thats how you do that”. Her tips are awesome, I use her matt gel meduim tip like crazy and toning down bright colors is awesome. Two staples I use regularly. Her ease at drawing faces, has unlocked that door for me. You will not be disappointed. Cant wait to take another class from one of my favorite art instructors. – Carol M.
***Click here to see what students have said about some of my classes. What supplies will I need for the class? Please use what you already have in your collection. The items below are what I have used in this class. **Due to the nature of the immediate availability of this course, all online classes are non-refundable. If you have any questions at all please contact me via the contact page. I will do my best to reply to your message within 24 hours. NB: I am located in Australia so there might be a little timezone difference! 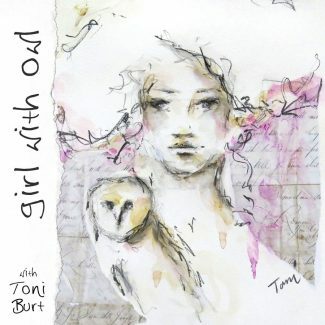 All images, videos and classes are copyright of Toni Burt 2019. Please do not use, edit, redistribute or publish without proper permission from the artist.